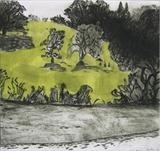 The second image of three drawn below Sharpham House on the River Dart. Old oak trees sit above the river bank as though watching the changing tidal scene. Light falls on the muddy foreshore, illuminating the image. 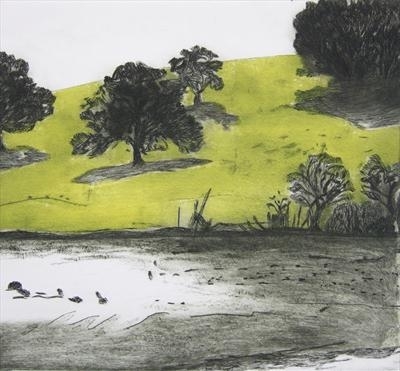 This print could be hung beside the other two in the series to describe the finger of land called Ashprington Point, drawn from the opposite bank.